Expedition cruise specialist, One Ocean Expeditions (OOE), recognised for its comprehensive educational programming, expands its photography program to non-polar destinations in spring 2019, starting with Costa Rica. Home to 6% of the entire world’s biodiversity, Costa Rica is every photographer’s dream. OOE’s Photographer-in-Residence, Jeff Topham, compares the sheer volume of Costa Rica’s stunning backdrop of wildlife and nature to that of Antarctica. Photography has always been a focus of OOE in all the destinations offered. On every departure, a photographer-in-residence is on board to assist guests and enhance their photographic skills, goals and overall cruise experience. They help capture the complexity of the landscapes, wildlife and natural beauty of sites in the best possible light. The small Central American country has over 840 identified species of bird and more than a quarter of the country is protected national park land, making OOE’s 9-night voyage the perfect backdrop for a photography vacation. The itinerary features exotic rainforests, white sand beaches, tangled mangroves and coral reefs, as local guides showcase some of the world’s most diverse wildlife, from howler monkeys to scarlet macaws and endemic species not found anywhere else on earth. RCGS Resolute will head to Central America in April 2019. The vessel provides the highest standard of expedition cruise accommodation to just 146 passengers, with an impressive staff to guest ratio of 1:4. Facilities include a wellness centre, yoga sessions, gymnasium and saltwater pool, plus panoramic outdoor viewing decks and an enhanced adventure concierge service, ensuring that every guest has the most personal, tailored experience possible. Guests have access to stand-up paddle boards, sea kayaks, snorkels and Zodiac excursions, plus the cruise specialist’s trademark guides who bring a wealth of knowledge and experience to every voyage. 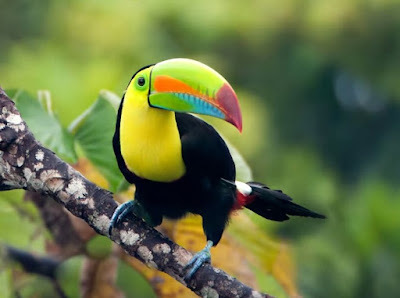 Central America Adventure - Costa Rica & the Panama Canal (23 April – 2 May 2019) Prices start from US$3,995 in triple shared cabin and from US$5,295pp in twin cabin, both with en-suite.